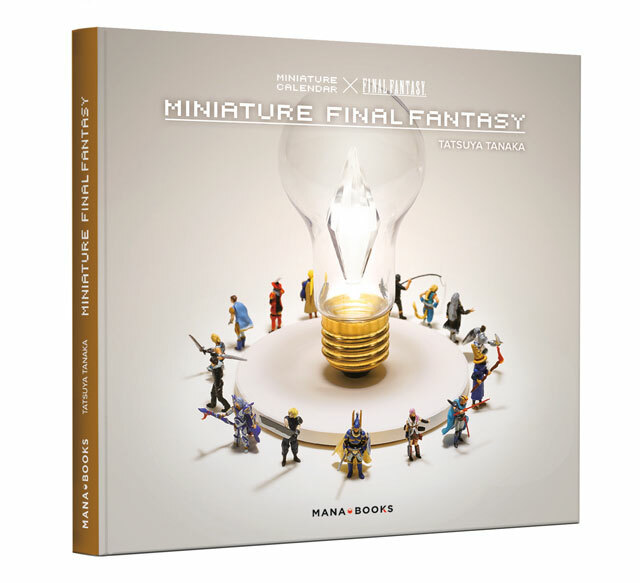 [FR] MINIATURE FINAL FANTASY on sale now! “FINAL FANTASY”: the beloved RPG series has been appealing to players for the last 30 years thanks to its strong characters, deep stories and breathtaking art. Tatsuya Tanaka: a photograph well-known for his “miniature pictures” that breathe life into hundreds of everyday items, building epic, humorous and moving scenes. In this official publication by Square Enix, (re)discover the greatest scenes from all the “FINAL FANTASY” main games through the incredible work of a truly imaginative artist! Includes an exclusive, extensive and illustrated backstage interview with Tatsuya Tanaka!